You know him as the current world’s number one tennis player. But do you know these 10 interesting facts about Novak Djokovic? History has been made. Last week, Novak Djokovic won his first-ever Roland Garros title. It was the only elusive major trophy in his whole career. Now, he has won everything. This year’s French Open tournament suffered from heavy rain. Matches were suspended many times. In fact, there was one day without any match at all. But as Djokovic was about to lift his first Coupe des Mousquetaires, the shine came shining through for the first time throughout the entire tournament. Djokovic is only 29 years old now. The average retirement age for tennis players is 35 to 40 years old. That means he still has a long career ahead of him to achieve more in his tennis career. Novak “Nole” Djokovic is not just the current best tennis player in the world. Here are ten interesting facts about him which you may not know before! 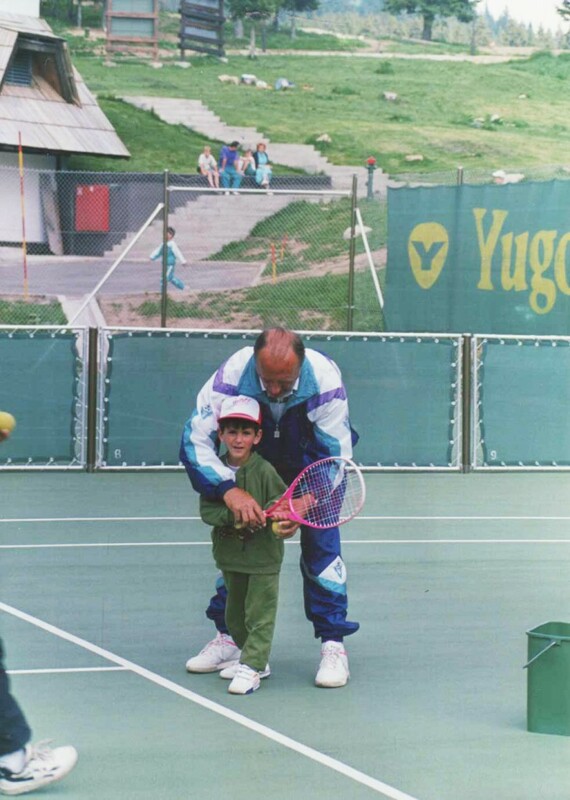 Little Djokovic put his hands on a tennis racket for the first time when he was only four years old. It all started as he visited a tennis camp every day to watch other people play. The camp was ran by Serbian’s best tennis coach, Jelena Gencic. After days and days seeing him coming, Gencic invited him to the court. He gladly accepted and started playing tennis. Even since that day, Gencic knew he was going to be a champion. Little Djokovic was so focused and conscientious for a toddler. Just take a look at that serious little face. He carries the same intensity on court until today. His parents were ski athletes. He grew up playing football too. But it was tennis that won him over as he grew up watching one of the tennis legends, Pete Sampras.